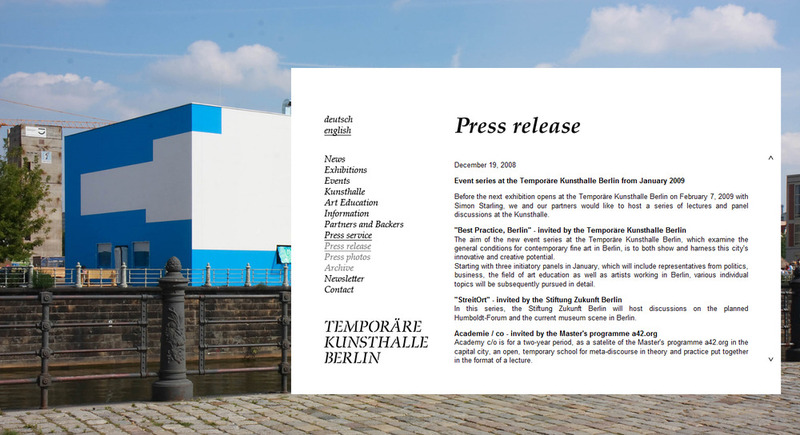 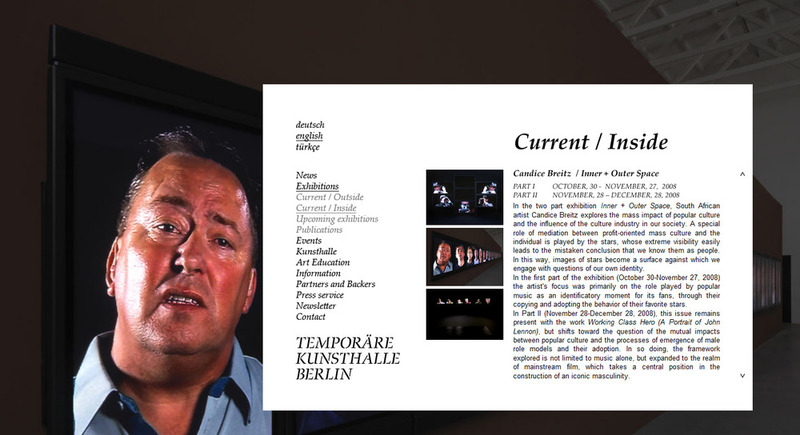 For a period of two years, 2008 - 2010, the Temporäre Kunsthalle Berlin has presented contemporary international art at a historically charged location. 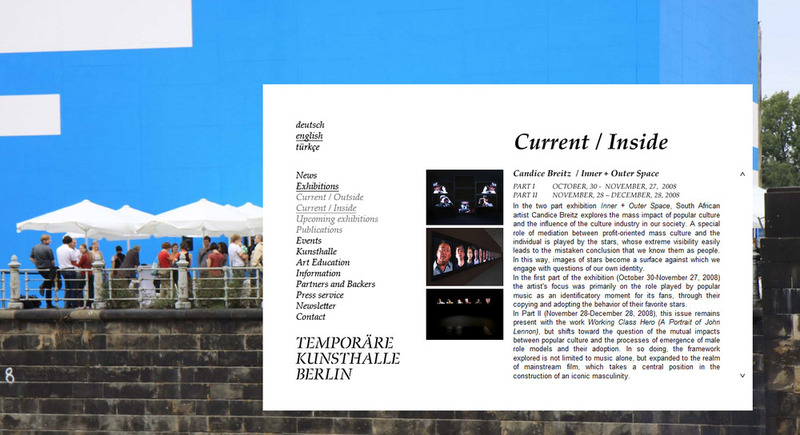 In a tensional relationship to the Museum Island and all previous and future uses of the Schlossplatz, it represents contemporariness in the center of Berlin. 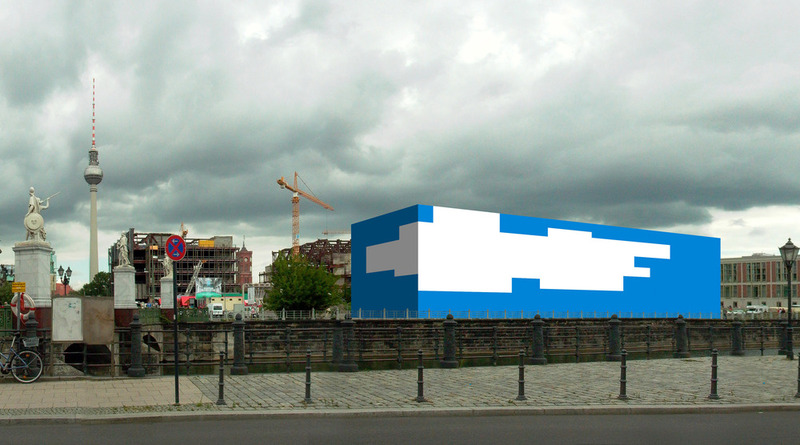 The architecture by Adolf Krischanitz is grasped as a "projection screen" from the inside and outside, on which artistic designs are shown to a broad public. 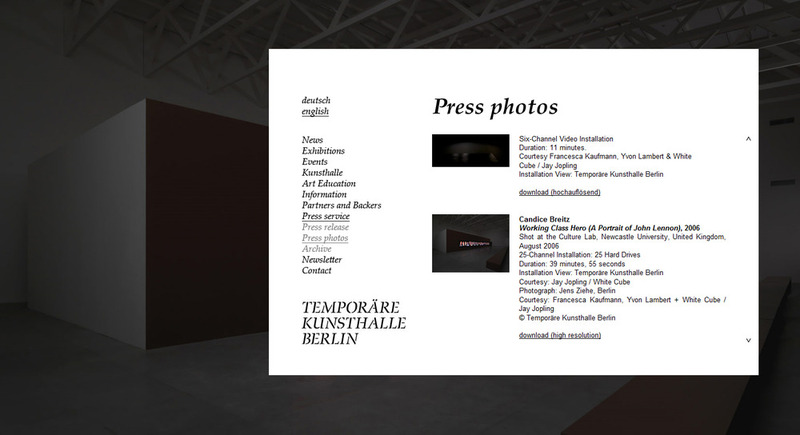 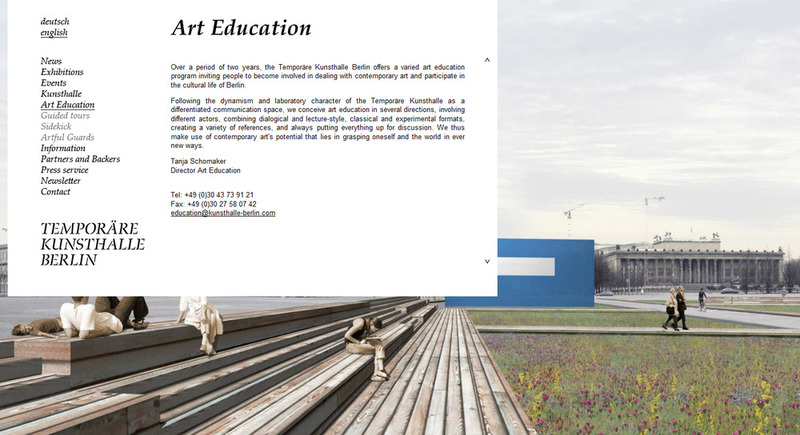 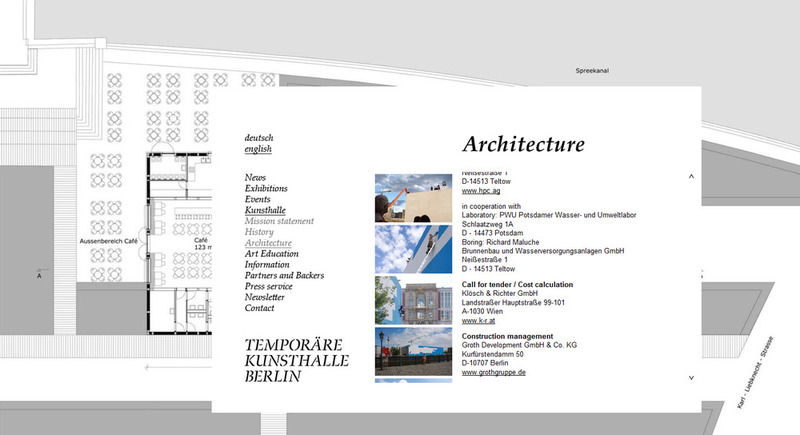 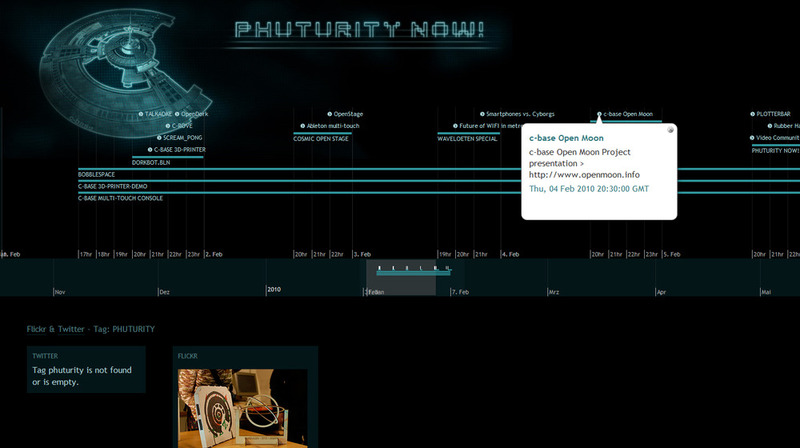 After a period of two years Temporäe Kunsthalle Berlin has been closed as planned on August 31, 2010.